As you can see, Rooting ASUS ZenFone 5 T00F/T00J running in Lollipop is a difficult for a lot of people. 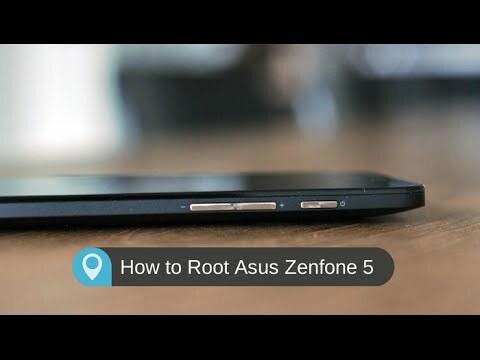 Seems weird if you wander around google for asking "how to root zenfone 5 lollipop without pc" it's a bit difficult to root this devices even with pc tought. Rooting method without pc is available when your zenfone device running on android kitkat only. So here we provide you the step by step how can root your lollipop device in elegan way :D. of course it already tested on Zenfone 5. This root method is tested on ZenFone 5 T00F/T00J (only WW SKU). Wether is it compatible or not, you can go to Settings > About phone > Software information > Build number to check it. Don’t try on any other ZenFone 5 with different Model/SKU. I can’t vouch for other ZenFones/SKU Versions. Backup all the important stuff. In case your device is wiped off. Backup your data to PC. The proccess need time, we don't want to exceed the battery in the middle of procces so the battery should be at least 80% charged. Attention! All operations with this tutorial is on your own risk! Nobody accepts responsibility for the consequences of your actions! Beware! Rooting your phone will void the manufacturer's warranty (You can Unroot anyway). Download all requirement files below. +1 to unlock files above. Step 5: Run ADB Installer v1.4.2 to install ADB drivers and setup ADB on the PC. Step 7: With the phone connected to the PC, run the "Root" (Windows batch file ) file by double click on it.Linux and Mac users should run “Root.sh” file. Step 8: In your PC,a notification will appear in Command Prompt (cmd),asking you to "Press any key to continue… ". Press any key on the keyboard. The Root process will start your phone will now reboot into fastboot mode automatically and then start flashing the root files. Don’t interrupt the process, let it complete. Step 9: Once the process is completed, the phone will reboot automatically.Once the rooting process is finished ,in cmd it will ask you “Press any key to continue… ”.Press any key on the keyboard and disconnect the USB Cable. Step 10: Once your phone is Rebooted.Check if there is any “SuperSU” app installed in the phone,if it’s installed,the process is successful. Congratulations!! !You have got the Root access. All credit goes to shakalaca for providing the Root Kit.